A 21-year-old Englewood man who’s on parole for robbery beat a woman and fractured her son’s skull during a robbery in the Gold Coast on Monday, prosecutors said. A group of men punched and kicked the 48-year-old woman to the ground in the 1500 block of North Dearborn and then took her purse around 10:45 p.m. The woman's 25-year-old son was also knocked to the ground, cracking his skull. 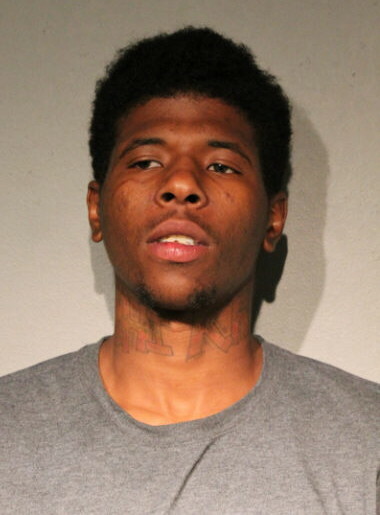 Cops arrested Deandre Williams minutes later as he ran in the traffic lanes of Lake Shore Drive near North Avenue. He’s charged with robbery, reckless conduct, aggravated battery causing great bodily harm, and battery. Bail was set at $350,000. Officers recovered the woman’s purse, which contained over $4,100 in cash plus foreign currency. Her son was admitted to Northwestern Memorial Hospital for treatment. Williams is currently on parole after being sentenced to six years in prison for a 2012 armed robbery in Edgewater. Cops say he’s a member of the Black Disciples street gang. Also arrested while running in the Lake Shore Drive traffic lanes was 23-year-old Victor D. Harris of Englewood. He is charged with reckless conduct.